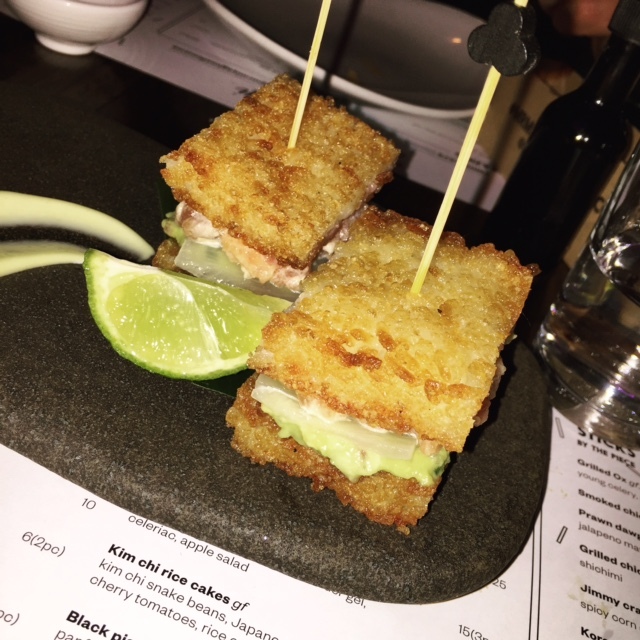 While there are so many amazing foodie experiences to be had in Melbourne, there are certain eating experiences that excite me more than others. 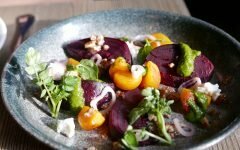 For me to get really excited about a food experience, it has to offer something different- new and exciting flavours, a concept I haven’t tried before, texturally interesting dishes, something out of the norm. New Chapel St hotspot Mr Miyagi offered all of this to me with its modern Japanese food in a hip and bustling atmosphere. 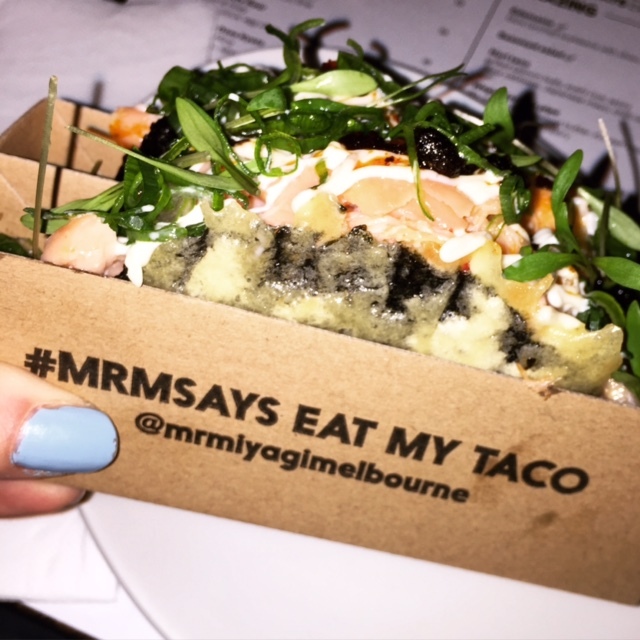 Mr Miyagi is Melbourne dining to a ‘T. It’s loud, busy, cramped, crazy… but the vibe is still awesome. You can watch what other people are eating around you, have hurried but friendly conversations with waiters who are more than happy to very quickly tell you what they recommend and you can exercise those vocal cords by yelling at your dining partner over the music. But we keep going back to these places, because as Melbournians, we love it. This kind of pumping bar/restaurant excites us. And, unlike some of its other modern Asian counterparts, Mr Miyagi takes bookings up until 6.30 which is a huge tick in my books. 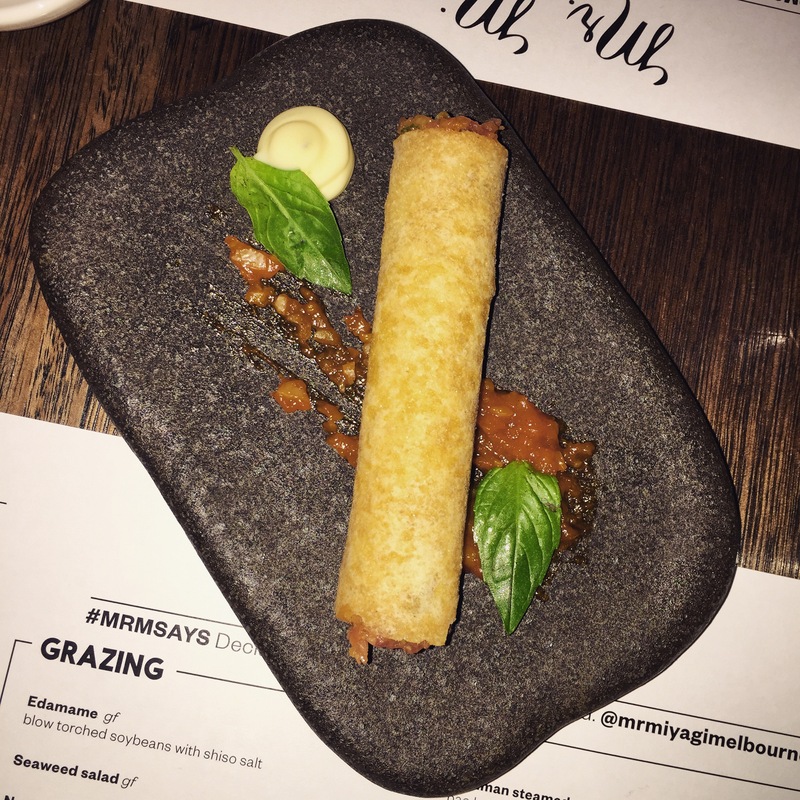 We started with the Wagyu Tartare Pipe, filled with wagyu beef, peanut butter, Korean miso, capers, sesame and wrapped in spring roll pastry (See?! Holy hell I was excited just reading the menu!) Confession: I have never tried beef tartare, and the thought of trying it for the first time has always intimidated me a little bit. I think this was the perfect way to introduce myself to it though, as it was small, delicate, and full of these incredible flavours and textures… and let’s face it, what isn’t enhanced by peanut butter? Of course, we absolutely had to try these Japanese tacos I had been drooling over on Instagram the last few weeks, and man I could eat these all day. I cannot remember the last time I was so excited over a taco… and I love tacos. It is just such a new and innovative way to serve Japanese food- a nori taco shell, stuffed with salmon belly, sushi rice, spicy napa cabbage, Japanese mayo and chilli oil. Note: don’t just order one. You’ll regret it. Life’s too short. Have two tacos. Oh Mr M, I will eat ALL your tacos. Now I am not a huge fan of lamb ribs, so these didn’t really do it for me. 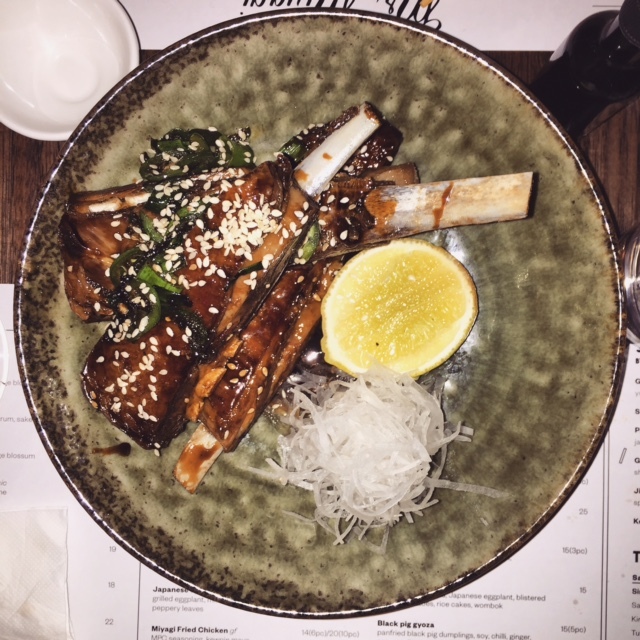 I love lamb but find ribs, particularly lamb ribs done Asian style, a little fatty and sweet for my taste. I prefer them mediterranean style, with a spice rub and crispy bits… Anyway, these were yummy but I personally wouldn’t order them again. My friend loved them though, so definitely worth a try if you can stop yourself from eating ALL THE TACOS and ALL THE SUSHI SANDWICHES. 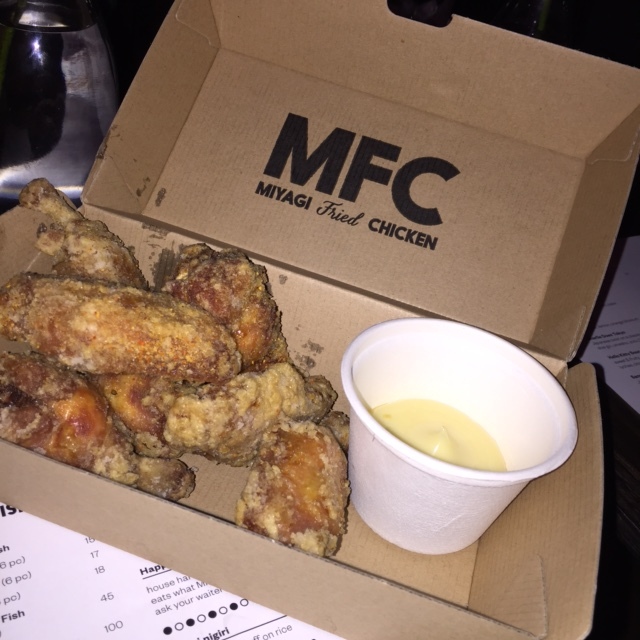 We finished with another must have at Mr Miyagi, the MFC or Miyagi Fried Chicken. These were delicious little morsels, but I think the small serve is definitely enough for two people because like any chicken wings, they are fiddly little buggers! Definitely an ode to their namesake though, KFC except these are Asian style, soooo much more flavorsome and much less greasy. 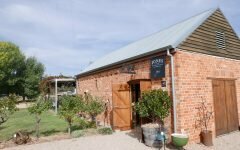 I often say that it would have to be a pretty exciting restaurant for me to want to rush back there- I love the Melbourne food scene and how much there is on offer, so for me it always seems like a waste if I go to one place over and over again instead of continuing to try new things. But hey, if someone wanted to accompany me to Mr Miyagi this week, I would be there in a flash, with a pile of tacos and sushi sandwiches in front of me. Whatever Mr Miyagi says, right? Hope you are having a delicious day!